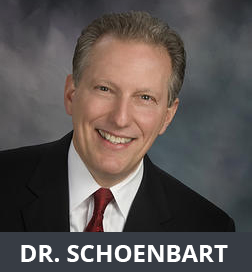 Dr. Schoenbart has been in the optical industry since 1978. Dr. Schoenbart graduated from the New England College of Optometry in Boston, MA in 1986. He then completed an elective residency program at the Northport VA Medical Center, Northport, NY in Rehabilitative Optometry (Low Vision) in 1987 and began his practice located in East Meadow in 1988. In November 2008, Schoenbart Vision Care relocated to 901 Stewart Avenue, Garden City, NY. The new location offers, new hours, ample parking, as well as convenient access from all roadways. Dr. Schoenbart has sat as a board examiner for the regional testing of optometrists with NERCOATS. He was selected to represent optometry in NYS on Governor Pataki’s Medical Advisory Board for the Department of Motor Vehicles from 1996-1998 and more recently 2010-2012. He has served on the board for the Nassau County Optometric Society since 1992 and was the Nassau County Optometric Society President from 1996-1998. Dr. Schoenbart is NYS Certified in Low Vision-Rehabilitative Optometry to help patients who have decreased vision due to eye diseases like glaucoma, macular degeneration, optic atrophy, post-cataract surgery as well as post-stroke patients. Dr. Schoenbart fits an array of various contact lenses. He has spent many years on perfecting the fit of specialty contact lenses for those patients who were previously told they were unable to wear contact lenses due to corneal irregularities. Dr. Schoenbart recently received an award from Vistakon for his ability to fit one of the newest progressive bifocal contacts available to the public.